When it comes to seeking legal advice, do not assume every lawyer knows nonprofit law or has the knowledge needed for telling you how to become a nonprofit organization. While attending a church conference, I was having dinner with some friends and we were joined by someone I did not know. As the getting acquainted conversation took place, the topic came up about the process he took on starting a nonprofit organization. He had used the services of a lawyer who helped him start a nonprofit ministry organization. What he did not know was that this same lawyer had come to me when I was employed as a Faith Coordinator for the County of San Diego. His lawyer met me for lunch, asking me for information on the process of becoming a nonprofit corporation. Now to be fair, our attorney friend, is a very competent lawyer. He is an expert in family trusts, writing wills, and small business law. But that day he was clueless as a nonprofit lawyer because he knew very little about starting a nonprofit ministry. This competent family trust attorney had called asking me for some basic nonprofit information and ideas for launching a nonprofit ministry organization. 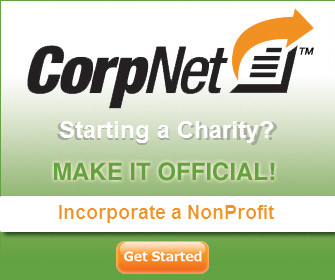 My lawyer friend told me he needed this information on how to begin a nonprofit organization for a new client. As I was concluding my discussion with the new friend who had started a nonprofit ministry, I realized he was that new client, the individual wanting information on how to become a nonprofit organization, the one who had used the services of my lawyer friend. And he had indeed paid $2500 to the lawyer for launching his nonprofit corporation. And what did I get out of it? Well, at least I had received a free lunch for my sharing my knowledge on starting a nonprofit corporation. There is more to this nonprofit story. You see, I had told the lawyer that if he would charge, say $500 or even $750, to help people begin nonprofit organizations, there were plenty of potential clients, like the people contacting me, desperately wanting to know how to start nonprofit corporations. My competent lawyer friend told me he would rather charge $2500 and felt his services were worth it. Now I am confident that he was worth what he charged. I suppose it could have been a pride issue, and he just could not bring himself to charge less than that $2500 fee. As it was, he probably only made $2500 that year off of that one nonprofit client. But what if he had lowered his price and had serviced 10 or 20 clients, people eagerly seeking help in starting a nonprofit organization? I have discovered that there are those who specialize in helping organizations achieve nonprofit status for a whole lot less. I for one, would use him for nonprofit legal services and for help in starting a nonprofit ministry organization. I also believe many of the people who asked me for references -- those seeking legal information on how to start a nonprofit organization -- would have used this lawyer's nonprofit expertise too. In addition to helping nonprofits incorporate, many business owners also want to incorporate their businesses. This publication is NOT INTENDED TO SERVE AS A SUBSTITUTE FOR LEGAL ADVICE. Please consult with a licensed attorney if you require legal advice for incorporation your business or non-profit.